Friday through Sunday, May 4-6, more than 100 people attended the International Symposium on Genital Autonomy and Children’s Rights in San Francisco, California. Organized by Marilyn Milos of Genital Autonomy – America (formerly NoCirc), with support from Intact America, the event featured presentations from individuals as well as representatives of various organizations – all focused around protecting the rights of all people to make decisions regarding the bodies nature gave them. As the fifteenth Symposium over the past 30 years, it seemed only appropriate that many of the presentations reviewed the history and progress of the intactivist movement. Also prominent were discussions of new strategies and tactics, legal analysis, the current genital autonomy movement in Europe, and the overlap between the anti male circumcision movement and genital protection for girls and intersex persons. The overall mood among participants was attentive, thoughtful, and positive. IA strategy advisor Dan Bollinger and I presented Intact America’s Tipping Point strategy, as well as the results of a second survey (the first one was carried out in 2014) demonstrating a change in the way Americans think about circumcision; we also presented the outline for Intact America’s upcoming Foreskin Protection Campaign. IA audiovisual consultant Shelton Walden travelled to San Francisco too, documenting the action and helping the fabulous Ms.Blu with the sound for Sunday night’s banquet entertainment. For the full Symposium program, click here. My son Jude is a victim of forced retraction, a terrifying experience that I witnessed and will never forget. It’s taken me almost two years to talk about this, but if I can help even one little boy by telling our story, it’s worth it. Jude is two years old. When he was about two months old, he was vomiting and had diarrhea, and my mom and I took him to the pediatrician. Despite the warnings of experts – including the American Academy of Pediatrics – nearly half of intact American boys under 6 years old have had their foreskins forcibly retracted. It’s true. In the Spring of 2018, Intact America conducted a national survey of parents of children under the age of seven, and found that 43% of intact boys had experienced the painful and totally unnecessary forced retraction of their foreskins, most of them at the hands of physicians. A 2017 brochure published by HealthyChildren, a program of the AAP, states unequivocally: “… foreskin retraction should never be forced. Until the foreskin fully separates, do not try to pull it back. Forcing the foreskin to retract before it is ready can cause severe pain, bleeding, and tears in the skin.” Unfortunately, messing with a boy’s foreskin can also cause infection and scarring, leading too often to doctors suggesting circumcision as a remedy for a problem they themselves created. As more and more boys are kept intact, it’s critically important that parents, childcare workers, and medical professionals understand that a boy’s foreskin will separate naturally over time (the age of retraction varies considerably), and that only the boy himself should touch his foreskin. Note: If your son’s foreskin was forcibly retracted, the best advice is to bathe him in plain warm water, to ease his discomfort – especially when he urinates. Do NOT continue to retract his foreskin; let the wound heal over time. A foreskin that cannot be returned to its natural position, however, could constitute a medical emergency, so seek care immediately, and inform any medical provider that you do NOT consider circumcision to be an option. 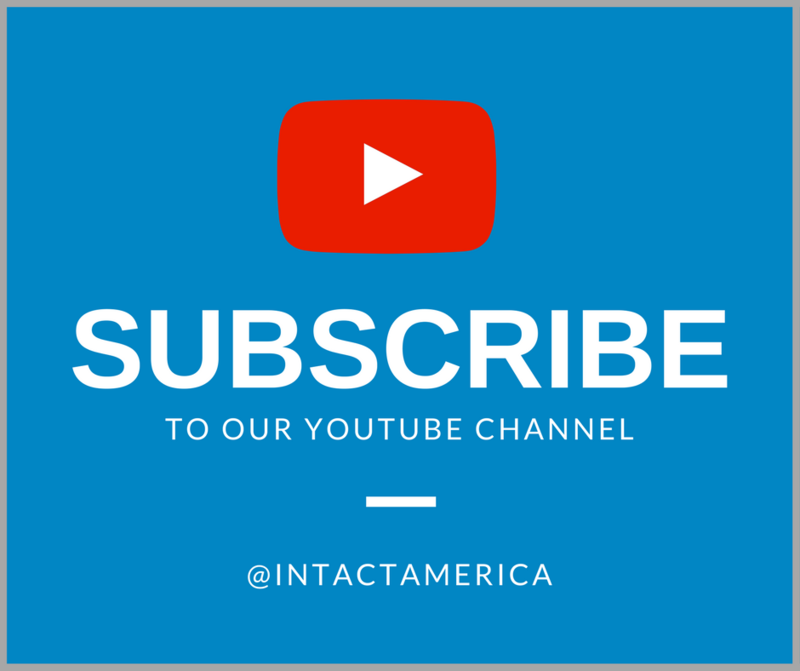 Watch for details of Intact America’s Foreskin Protection Campaign – to be announced in our July newsletter. In the meantime, if you have a story about forced foreskin retraction – either of your son or another child close to you – you can write to us at [email protected]. 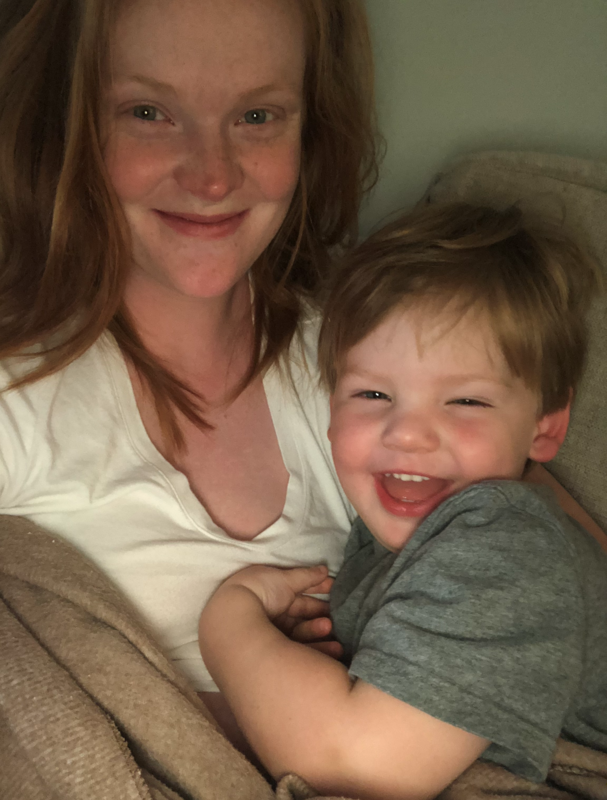 Please include details about the age of the child, where the forced retraction occurred, and (if you wish) the name of the medical professional(s) and/or the facility where it took place. 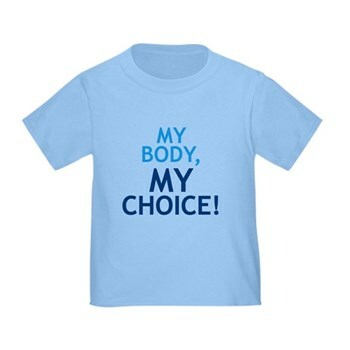 Intact America is now selling IA-branded "MY BODY, MY CHOICE!" toddler shirts. Show your support for Intact America wherever you go with these intactivist shirts!